US 27 South, R on Orlando, (next to Heineke Veterinary Hospital). OPEN SUNDAY 1/13/19 1:00 - 3:00. 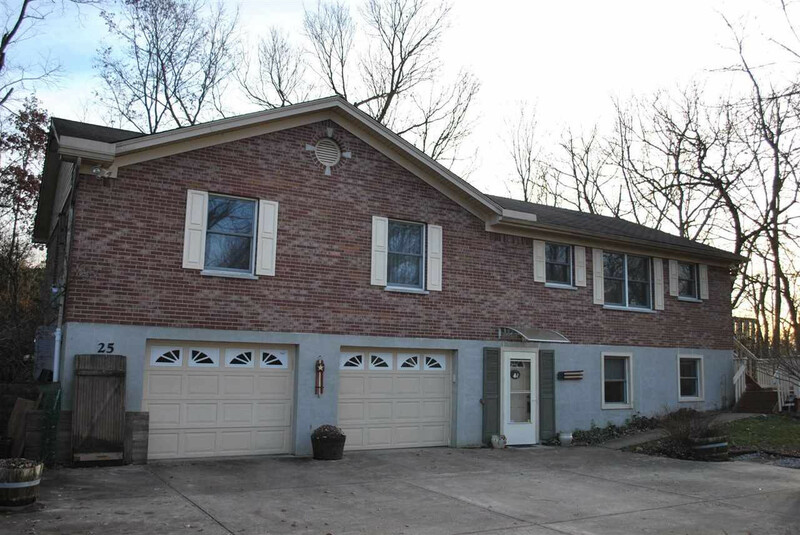 Brick ranch on private lot, tucked into a small neighborhood w/ only 7 houses. Bright & airy great room - cath ceilings and skylights. Open floorplan. Kitchen w/ Stainless Steel appliances, Granite, island - Hand-scraped hdwd floors. Sun room to enjoy the view. Master ste w/ bath and 2 walk-ins. 1st fl laundry –W/D stay. Lower level has a 1 BR apartment, ideal for mother-daughter, inlaws, adult child, home office, etc. This area could convert to family room by adding large unfinished area. Covered deck and fenced yard. Newer High efficiency furnace.